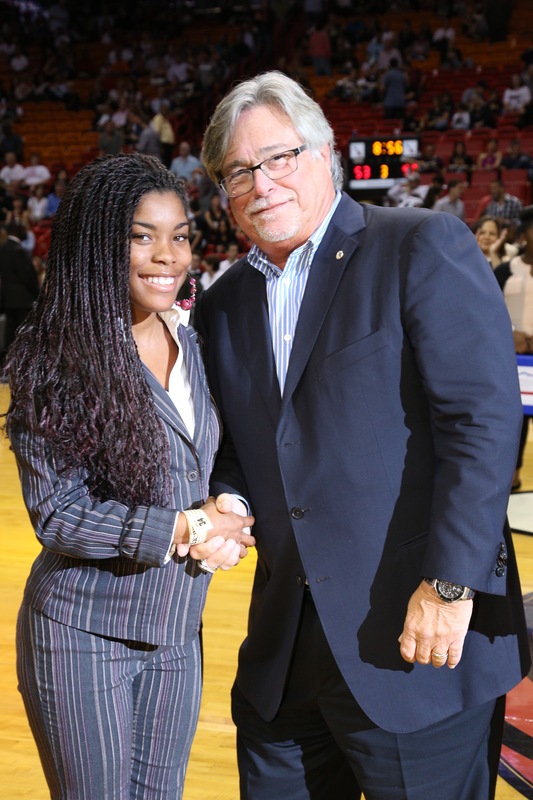 Carnival Foundation, in partnership with the Miami HEAT NBA basketball team and Florida Prepaid College Foundation, presented 16 South Florida students with four-year college scholarships Friday, March 14, during halftime at the HEAT basketball game against the Denver Nuggets. 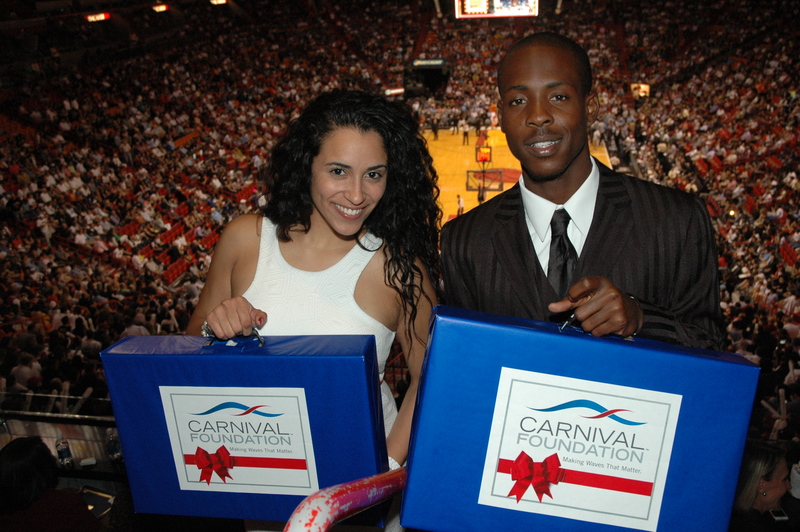 The students currently participate in the “Carnival Scholarship & Mentoring Program,” an innovative workplace program sponsored by Carnival and the Miami HEAT, in partnership with Big Brothers Big Sisters of Greater Miami, that pairs a student with an employee mentor from Carnival. Prior to entering high school and participating in the Carnival Scholarship & Mentoring Program, the students attended the HEAT Academy, an after-school enrichment program for at-risk elementary-age youth. 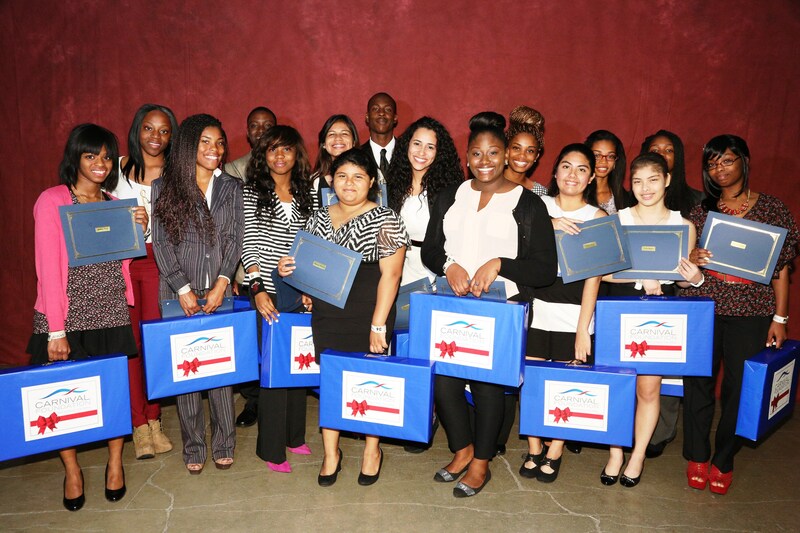 In addition to receiving the scholarship, students were presented with a new Dell laptop computer to support their studies. 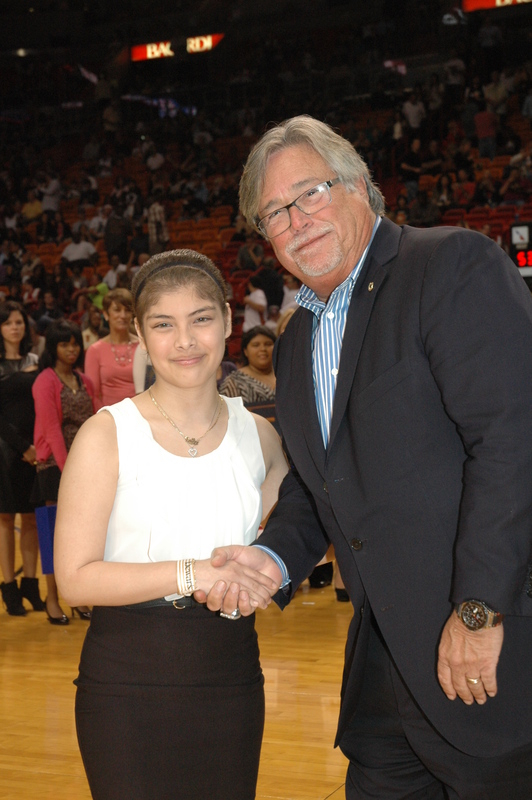 The scholarships, purchased by Carnival Foundation, were handed out at center court by Linda Coll, with a congratulatory handshake given to each student by Micky Arison, chairman of Carnival Corporation and managing general partner of the Miami HEAT. 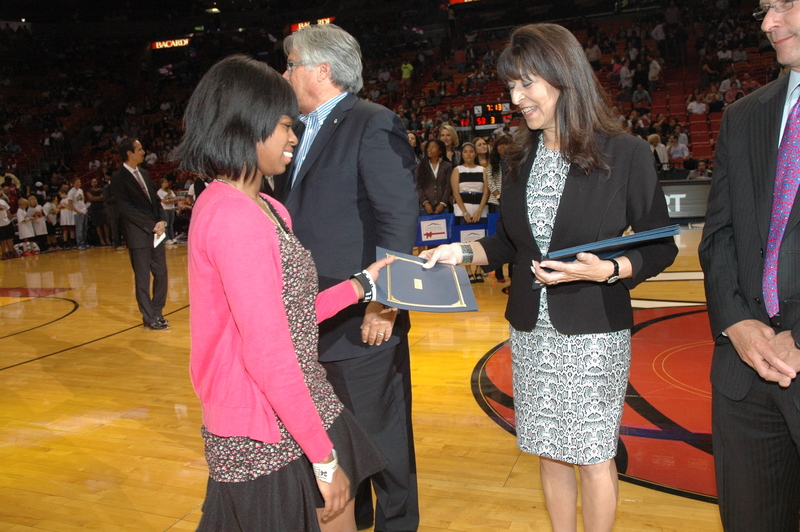 Miami-Dade Superintendent of Schools Alberto Carvalho and representatives from Florida Prepaid College Foundation, Big Brothers Big Sisters of Greater Miami and the HEAT, including former HEAT star center and current Vice President of Player Programs Alonzo Mourning, were on hand to acknowledge the students. 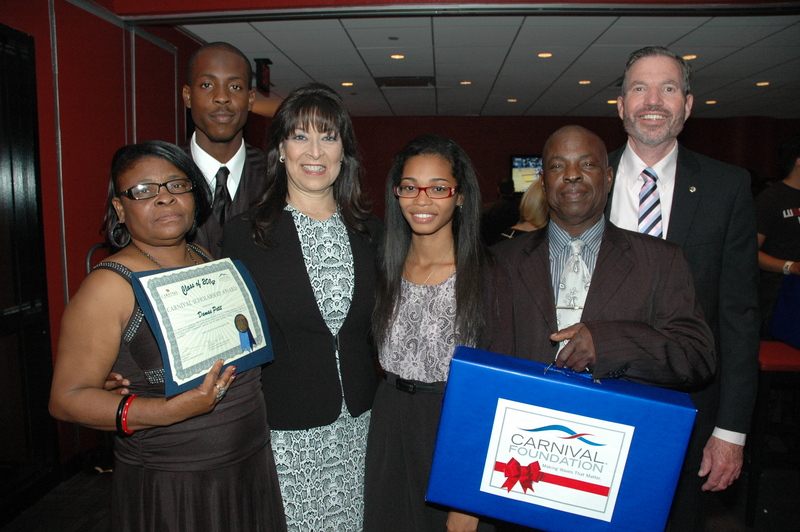 For the past 12 years, Carnival has purchased Project STARS scholarships from Florida Prepaid College Foundation, representing a collective value of more than $2 million. The Florida Prepaid College Foundation scholarship covers the cost of tuition for two years at a Florida college followed by two years at a Florida public university. This is the fifth year Carnival scholarship recipients have matriculated into college.